Tips to save money in the second quarter of 2011Here are the 6 tips that can help you save money in the remaining 6 months of 2011. Have you been able to be on top of your finances in the first quarter of the year 2011? Have you saved enough money in the last 6 months to reach your financial goals by the end of the year? If not, then you should check up your financial health immediately. If you have not been able keep your promise (which you have taken in January) to save money in the last few months, then you can glance through the article to know about smart tips which can help you save money in the remaining 6 months of the year. Here are the 6 tips that can help you save money in the remaining 6 months of 2011. One of the reasons behind insufficient savings is improper budget plan. You can't determine whether or not you are following a proper budget without evaluating it. So, review your budget when you have some free time and check whether you are spending more than your income. If your expenses are more than your income even after following a budget, then you need to re-organize it. 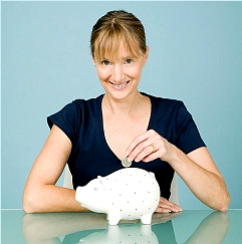 Create your budget which will help you meet your financial goals within the next 6 months. If you think that there are still some areas where you need to curtail expenses, then do so. Follow the new budget for a month and check whether or not your savings have increased. Have you enrolled into a retirement plan via your employer? If yes, then check whether or not you can get other financial benefits from the package. For example, some companies offer free financial educational programs to their workers. You can take advantage of these programs to increase your financial knowledge. You can learn about personal finance management tips and utilize them in your life. This will assistyou avoid making financial mistakes in future. Make it your goal to save money on your utility bills this summer. Sit with your family members and discuss about the importance of saving energy and money. Share interesting ideas to save money on utility bills. For start, tell your family to use CFL bulbs in the home. Inform your kids to switch off the lights prior to leaving a room. Try to use ceiling fans to beat the heat. You can also go the market and purchase eco-friendly electrical appliances for your home. You should start planning for Christmas and New Year from the month of October itself. Compute the total amount you will need to host parties in Christmas and New Year and start saving. You must keep aside a certain amount of money for your shopping endeavors. This will help you enjoy the holidays in a lavish way. Is your insurance policy providing sufficient coverage to you? Talk to an industry professional and know whether or not you are underinsured. You should also find out if you are paying more premium than the others. Shop around and find out the companies offering better offers to the people. You can change your insurance company and save money on your premiums. Work with the insurance company charging lowest premium rate. You can donate money in the registered charitable organizations before January 1st, 2012. You can donate some household appliances which you no longer need in your life. For instance, you can donate decorative items, playthings, furnishings, etc. to the non-profit organizations. This will serve 2 purposes. It will not only help you get rid of unnecessary items in your house, but also will help you get tax deduction. You can submit the receipts of your donations to the charitable organizations to IRS and get tax benefits. If you haven't been able to manage your finances properly in the first quarter of 2011, then you should start implementing effective tips to save money in the later half of the year. Follow the aforementioned tips and achieve your financial goals by the end of the year.